The inspiration for this post comes from Kass, who blogs at The K………………Is No Longer Silent. In July she wrote a post called Happy Blogiversary to Me, and as soon as I read it I knew I wanted to write my own blogiversary post. A year ago today I wrote my first post, called Alanna Klapp’s Four Guest Host Podcasts in 2009. 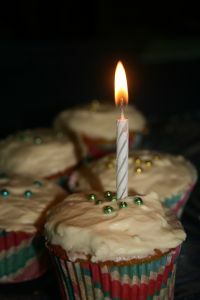 In the spirit of my first blogiversary, I thought I’d write a recap of my two guest host podcasts for The Writing Show in 2010. Michael Wilson is the author of Flash Writing: How to Write, Revise and Publish Stories Less Than 1000 Words Long. He is also the creator of the JumpStart Jar. 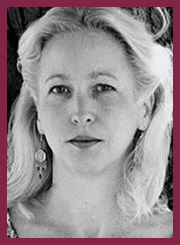 Sarah Willis is the author of four novels: Some Things That Stay, The Rehearsal, A Good Distance, and The Sound of Us. I appreciate you dropping by to help me celebrate my first blogiversary. I’ve had so much fun blogging and meeting other bloggers. Despite some long gaps between posts (and the two month hiatus I took after the death of my beloved Aunt Joni, when I didn’t write much), I’m happy to say I’ve stuck with it for a year. It’s a huge milestone in my journey as a writer. The blog has truly helped me to log some writing hours. Thank you, readers, for giving this blog a reason to exist. My focus for 2011 will be to make this more of a writing-oriented blog. A special interview series with writers for writers is in the works. I’m exploring in-depth the concept of flow and how to create it while you write, and I plan to post my findings and insights. I’m also working with other bloggers on upcoming guest posts with valuable info for writers (if you missed them check out Three Ways Social Networking Can Increase Book Sales by Angelita Williams and Find Focus by Eliminating Distractions by Maria Rainier). I’m planning on the occasional non-writing post, more book reviews, and of course some football thrown in. My question to you: what kind of writing topics or other subjects would you like to see posted on The Chipper Writer? Happy Writing and Happy Holidays from The Chipper Writer, and thanks again for reading!